Years went by, and it appeared Alaysha was doing better. A couple of months after she started second grade, Jessica received a request for a parent-teacher conference. Alaysha’s teachers noticed that her motor skills were not developing like the other children her age. They took note of how she seemed to have difficulty with basic tasks like swallowing and walking. The knot returned to Jessica’s stomach. She made an appointment with a neurologist immediately. When the results came back, doctors finally had an answer. Unfortunately, it was the last one in the world Jessica wanted to hear. 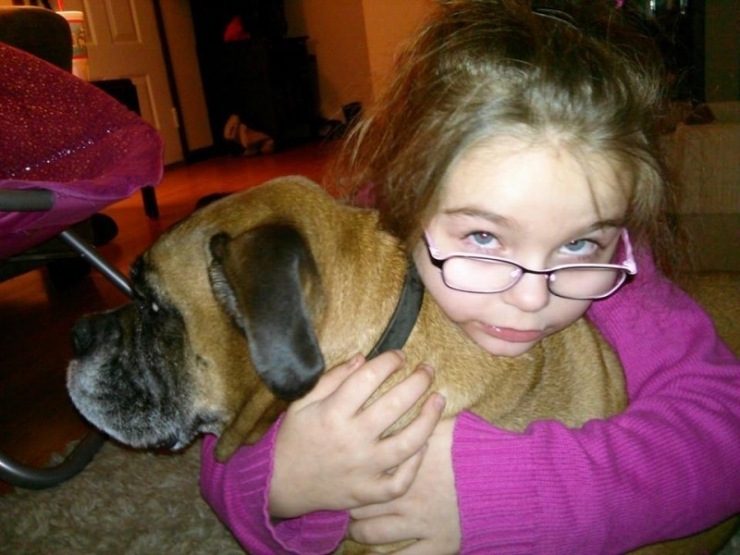 Alaysha was diagnosed with Ataxia Telangiectasia (A-T), a rare and terminal condition that has no known cure. Over time, this unforgiving and vicious disorder will take from Alaysha her ability to walk, talk, and live life independently. Typically, children with A-T are wheelchair-bound by age 10. Alaysha is 8. A-T compromises your immune system so children are prone to many different types of infections, even cancer. A common cold could be deadly to Alaysha. Most people with A-T only live to their teenage years, sometimes their early 20’s. Jessica is now living out a parent’s unspoken, deepest, darkest fear: She will be forced to outlive her daughter. But there are certain realities of A-T that are impossible to mask with a positive attitude. For example, this aggressive disorder is already working on taking away her mobility and speech. The carefree days of daydreaming about Alaysha’s future are gone. There is only today. What she can do today that maybe she won’t be able to do tomorrow. 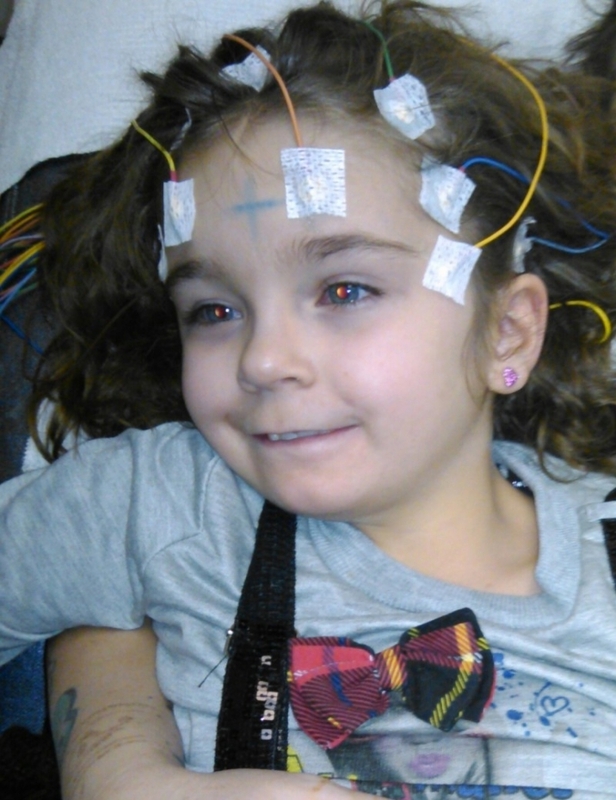 The fear, doctors, therapy, and anxiety have completely turned her world upside-down. Just when Jessica thought there was no hope for her daughter, something happened that would change Alaysha’s life. The Chive Virginia chapter saw their GoFundMe page and knew there was something they could do to help this little girl. So, they contacted Jessica. The admins and members of Chive VA paid for Jessica and Alaysha to come to a joint meet up with Chive MD and DC. They paid for their hotel for the weekend, showed them around the city and took them to local museums. They gave Alaysha a weekend of memories, experiences, and random kindness. But their work wasn’t done. Unbeknownst to Jessica or Alaysha, Chive VA was submitting an application to Chive Charities on their behalf. Because of the kindness and compassion of Chive VA, and a $37,000 grant from Chive Charities, Alaysha’s life just got a little bit easier. She can now travel and experience life in her new Ford Flex that fits both her walker and her wheelchair comfortably. Because her decline has been so rapid, it was very difficult for Jessica to accommodate her daughter safely in their previous family car. Now, that’s one less thing they have to worry about. And to help her stimulate her senses and aid her communication as it declines, we purchased Alaysha an iPad so she can continue to learn and thrive. Although Alaysha’s life has dramatically changed, her spirit and her enthusiasm haven’t faded. She isn’t interested in running out the clock. She is interested in living every day she’s given. And she’s got the power of the Chive community behind her. 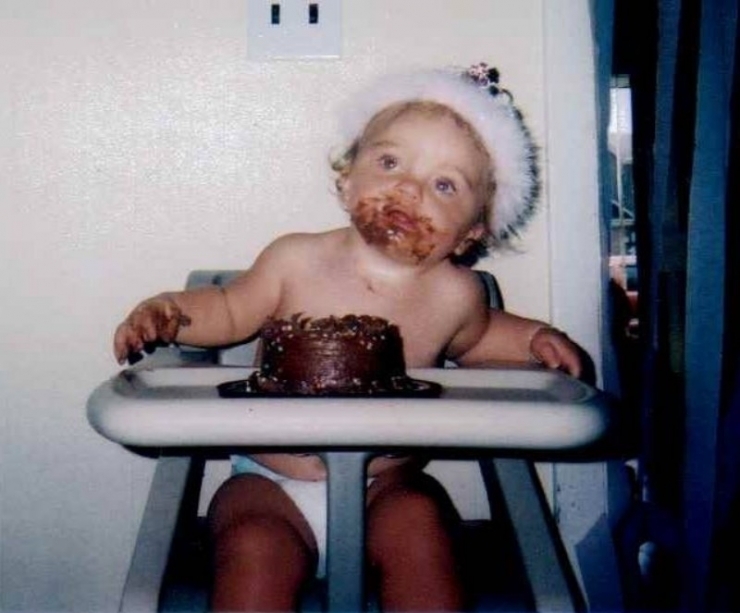 On her first birthday, Alaysha discovers the magical powers of chocolate cake. Alaysha enduring countless tests in the hospital but somehow still finding reasons to smile. This is Alaysha's big brother Colton. 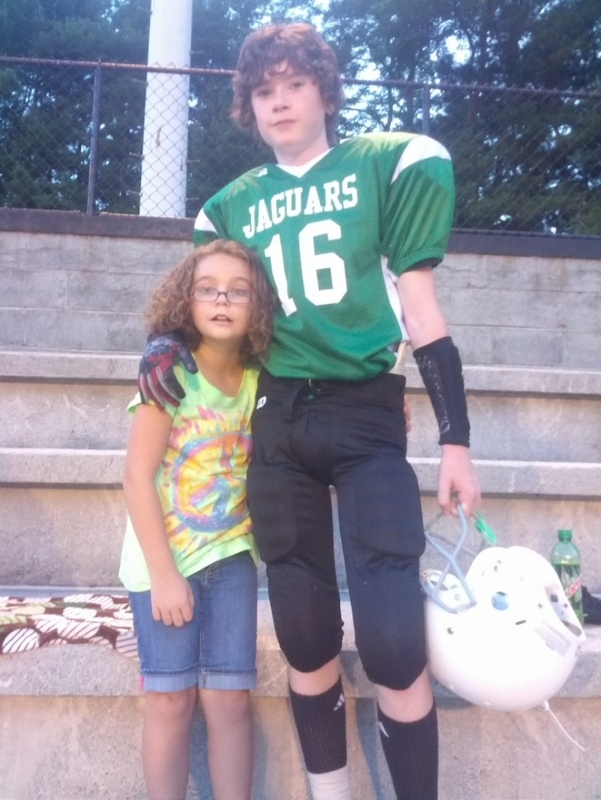 As soon as he found out about his baby sister's diagnosis, he started fundraising at his school not only to support his sister, but to raise money to find a cure. 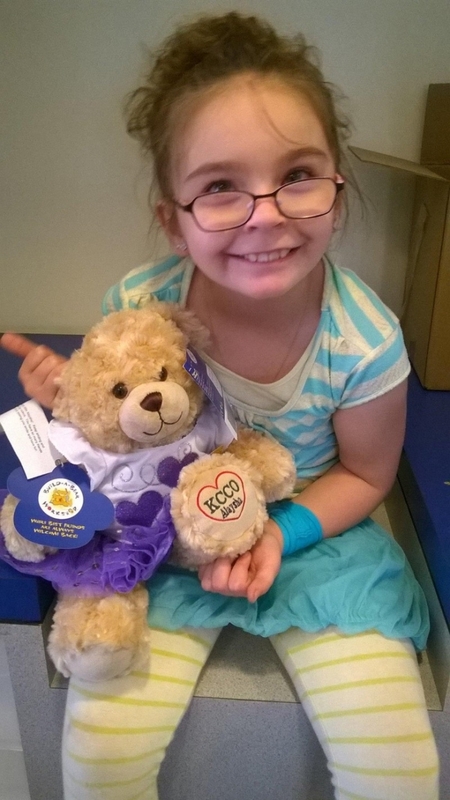 Alaysha loves her custom-made teddy bear from Chive VA.
Now the family can KCCO in a brand-new Ford Flex that accomodates Alaysha's wheelchair and walker! Looks like Alaysha approves of her new ride! 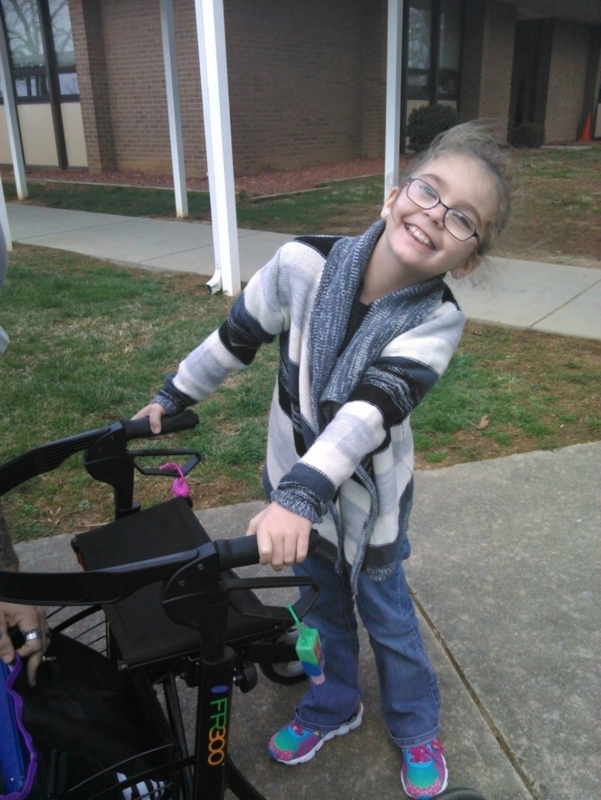 Here's the smiling, sweet, and compassionate girl using her walker. She may not be able to use it for long, and after that she will be restricted to a wheelchair. But whether she's in a wheelchair or using a walker, the smile doesn't change. Here’s the whole gang: From left, Nick, Emily, Gage, and RP (all from Chive VA) Jessica, Alaysha, her dad David, Matthew (also from Chive VA) and the salesman from the dealership. 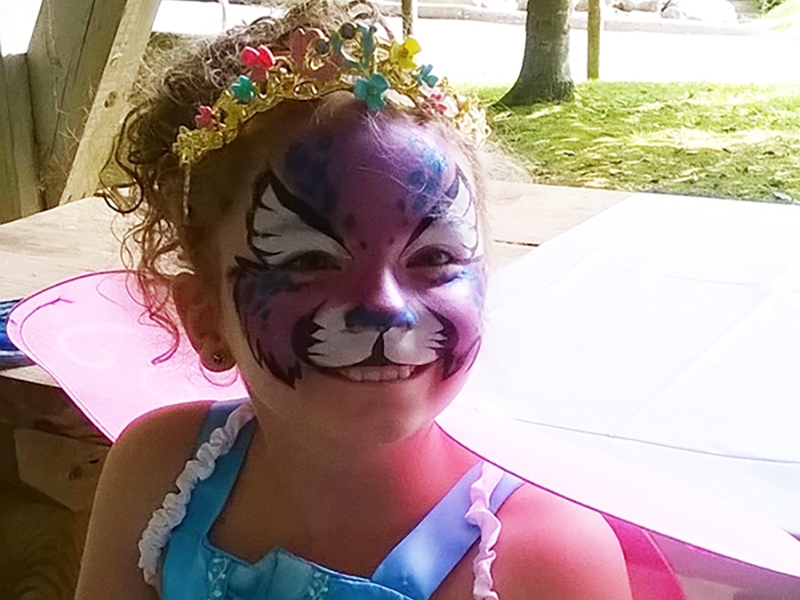 When Jessica made the decision to surround her daughter with only positive energy in the face of adversity, she unknowingly put in motion a string of events that would change Alaysha’s life forever. The $37,000 grant from Chive Charities will bring ease and peace to Alaysha’s life at the exact time that she needed it most. Optimism attracts optimism. Good attracts good. Some would say it was a coincidence that Jessica posted about her daughter and it was mere chance that someone equally as compassionate saw the post. We don’t call it coincidence. 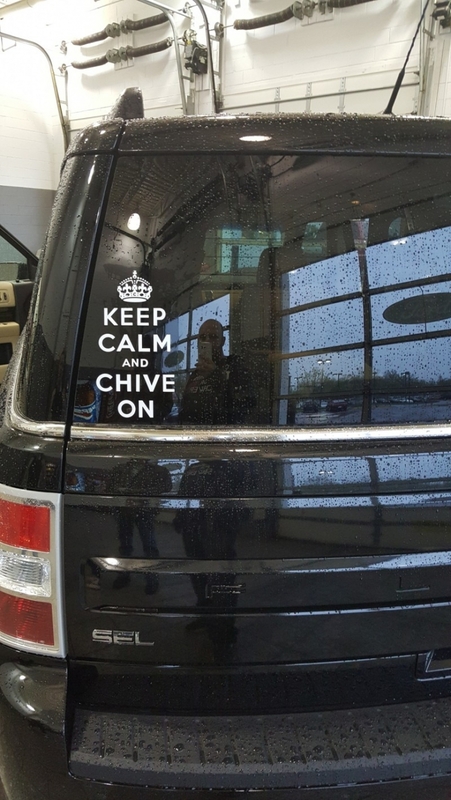 We call it Chive Nation. Everything Chive Charities does to make this world 10% happier would not be possible if not for your donations. If you’d like to donate or become a #ChiveCharitiesMember, you can do so HERE.